This website ("Website") and iCashCard are part of the GI Technology Private Limited Network (the "Network"), is owned and/or operated by GI Technology private Limited ("GI").on behalf of itself and its holding companies, subsidiaries and affiliates (together, "GI", "we", "us" or "our"). At iCashCard we recognize that privacy and security of personal financial information is a concern to our customers. We have taken the utmost care in establishing and implementing policies and procedures to protect this information. In order for us to provide you with our services and products, we may collect personal information such as your name, address, phone number, date of birth, or any other information that may be required for identification purposes. The personal information that we collect depends on the products and services that are being provided or requested. If you do not provide us with the information asked, we may not be able to provide the products or services you have requested. We limit the use and collection of this information to that which is necessary to maintain and administer financial services, provide excellent service, and offer new products and services that may be of benefit to our customers. We also track information like the domain name from which you contact us, the pages you request, the products you buy, the referring site, and the time that you spend on the site. For everyone who visits our website, Sub-Merchant purchase page, we log IP addresses, the type of operating system that your computer uses, and the type of browser software used by you. From the IP address, we can determine the Internet Service Provider and the geographic location of your point of connectivity. In order for us to provide you with our services and products, we may collect personal information such as your name, address, phone number, date of birth, or any other information that may be required for identification purposes. The personal information that we collect depends on the products and services that are being provided or requested. If you do not provide us with the information asked, we may not be able to provide the products or services you have requested. We limit the use and collection of this information to that which is necessary to maintain and administer financial services, provide excellent service, and offer new products and services that may be of benefit to our customers. We also track information like the domain name from which you contact us, the pages you request, the products you buy, the referring site, and the time that you spend on the site. For everyone who visits our website, Sub-Merchant purchase page, we log IP addresses, the type of operating system that your computer uses, and the type of browser software used by you. From the IP address, we can determine the Internet Service Provider and the geographic location of your point of connectivity. Comply with laws and regulations that govern us. From publicly available sources of information such as telephone directories and websites. Prospect Information -- Our Network also collects prospect information from our users. Our users may provide another person's information, such as their friend's e-mail address, contact details etc., in order to send them content or offerings from our Network. The prospect's information is only used for the purpose for which it was submitted. The prospect information will never be shared with third party advertisers. 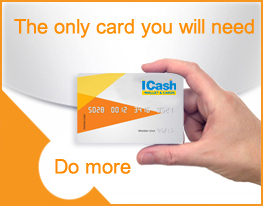 To administer your participation in the iCashCard program. To provide customer service, such as to answer your account-related questions. To check your qualifications for registration. To develop and refine our products and services. To contact you when necessary. To send you information about our programs and other promotional materials, subject to the privacy choices described below. a purpose otherwise authorised by you. Please note that we do reserve the right to transfer your personally identifiable information and other information that you have provided to us to our successors in business and purchasers of our site assets. You may receive an email claiming to be from us with a link to what appears to be our website, where you are prompted to enter your personal and account details. We are in no way involved with this email, and the website does not belong to us or our partners. The restrictions above will not apply in the event that you engage in certain improper conduct. Specifically, GI/iCashCard shall have the right to itself use or release to third parties personally identifiable information regarding users who are suspected of having used any site or any other service in the Network for any fraudulent purposes or having otherwise violated any law, rule or regulation or the rights of third parties or having engaged in any conduct which GI/iCashCard deems improper. By using any service in the Network, you are agreeing to our use or release of any information you provide in any manner we deem appropriate or necessary if you are suspected of having engaged in any conduct which GI/iCashCard deems improper. At GI security is a priority. We have implemented and maintain high security standards and procedures to safeguard against unauthorized access to your information. We employ appropriate measures to protect consumer information against unauthorized access, disclosure, alteration or destruction. These may include, among other, encryption, physical access security and other appropriate technologies. GI continually reviews and enhances its security systems, as necessary. Please note, however, that no data transmission over the Internet is 100% secure. As a result, we cannot guarantee the security of the information that you transmit via our online services. 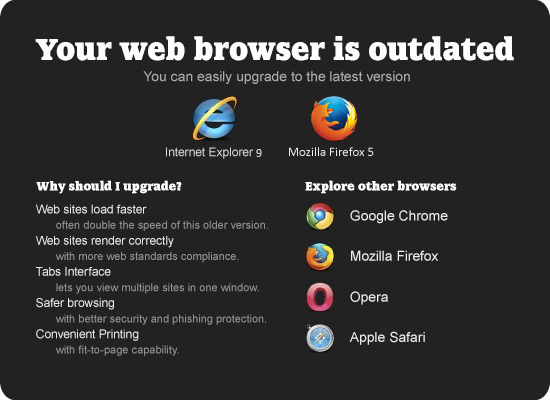 Most browsers allow you to turn off the cookie function. If you want to know how to do this please look at the help menu on your browser. However if you do not accept incoming cookies then the performance of our website on your system may not be to the full standard or our website may not serve you at all. By returning or submitting your card application form with your personal information to us, you consent to our processing your personal data, including sensitive personal data, and to the transfer of your information to our Partner companies or to other Countries which do not provide the same level of data protection, if necessary for the above purposes. If we do make such a transfer, we will put a contract in place to ensure your information is protected. Please be aware that iCashCard/GI does not control the acts of its Merchants, agents, franchises, customers, users or visitors. If you wish to terminate your relationship with GI/iCashCard and wish for us to eliminate your information from our database, please contact us at sales@icashcard.in and provide your account details. The complete multi utility card – id card & access control at work and payment mode while shopping. Keep track of the consumers who love to buy from you, provide incentives and encourage loyalty.